Vevozolu Theyo is a 20 years old girl who belongs to Thenyizumi, a Village located in the Phek district of Nagaland. She is the eldest among her 4 sisters and 3 brothers. Both her father and mother work as farmers to earn the livelihood for this large family. Being 10 failed she was sitting idle at home. The thought of becoming a burden on parents encouraged her to join an employment oriented training programme. And thus she joined BASE training offered by DB Tech especially for the poor and marginalised youth like her. 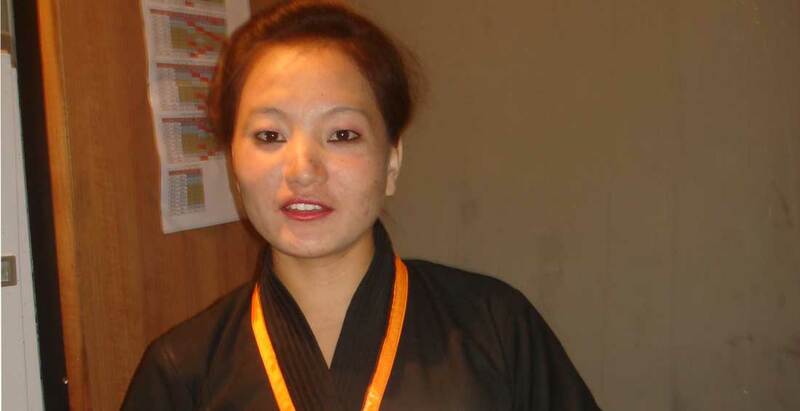 She joined DB Tech (AIDA, Nagaland) with a wish to be independent. Before finalising the domain in which she will be imparted training, she was counselled by the trainers and was asked to give an interest inventory test. Based on the interest inventory test results, she was offered Spa Domain. Vevozolu Theyo started training quite seriously with certain expectations of gaining domain specific skill & knowledge and thus to become capable enough to earn a livelihood. All throughout the training, she was one of the regular and punctual students. The successful completion of the training and a sense of confidence helped her get a job at O2 Spa located in Elante Mall, Chandigarh at a monthly income of Rs. 7500/-. Today she is happily working there and is of the view that, “This is an industry which is growing really fast, the decision of taking training in the Spa domain was the best decision of my life. I am glad that my career has been built in this profession. The credit for all this goes to DB Tech; I thank DB Tech wholeheartedly for giving me new directions.